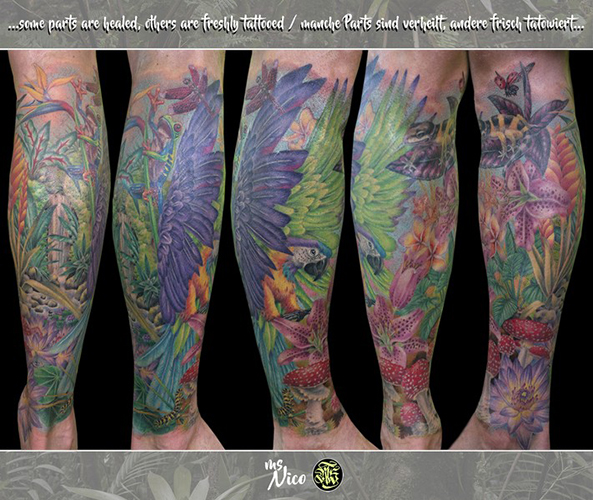 Partly freshly tattooed, partly already healed – this parrot is king of the jungle-leg-half-sleeve. Miss Nico’s color-realism is so intenseley detailed, that you constantly discover something new. Send your requests for Miss Nico here.